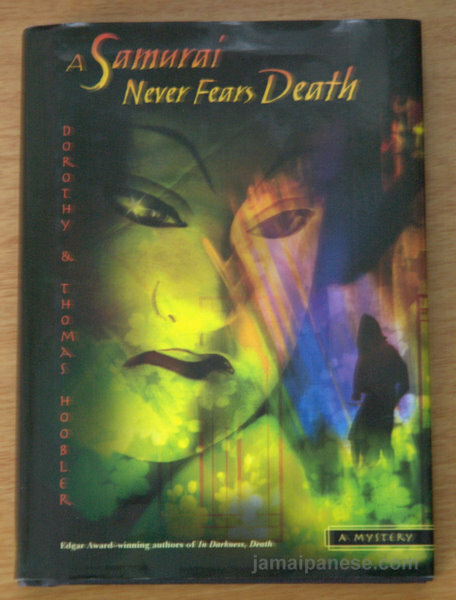 The fifth book in the Samurai Mysteries series by Dorothy and Thomas Hoobler is called “A Samurai Never Fears Death” and follows up on the first four in the series Ghost in the Tokaido Inn, Demon in the Teahouse, In Darkness, Death and The Sword that Cut the Burning Grass. My interest in the series still hasn’t waned and A Samurai Never Fears Death does well to provide a mini refresh while putting the main protagonist in the thick of things more so than in any of the previous books. 16-year-old Seiko is finally getting used to his life as a Samurai as it’s been a few years now that the former son of a merchant was adopted by the famous Judge Ooka. Just when things are starting to settle Seikei learns that he will be returning to his home town and will be able to see his parents and siblings. Things don’t go as planned as Seikei must solve a a mysterious string of murders involving a puppet theater, a gang of thugs and maybe even his own family members? Eighteenth century Japan comes alive once again as Seikei must use all the skills taught to him by his foster father to solve the case while avoid becoming a victim himself. Seikei continues to mature as the series goes on and even more so than the last book finds himself on his own with Judge Ooka making very short and mostly humorous appearances at the beginning and end of the book which can be a good or bad thing depending on if you are a fan of the Judge. Personally I am a big fan of the Judge and would have loved it if he was more involved but I can understand the writers wanting to to showcase Seikei’s maturity after babysitting him in the first few books. The wide cast of characters especially Seikei’s siblings made up for the Judges absence and the Hooblers’ description of the plays, murders and Seikeis naval adventures were quite entertaining and educational at the same time. I haven’t bought the 6th book in the series yet but will do so as soon as I have returned from Japan at the end of September. So look out for my thoughts on that book as well as a post about my feelings of all the books and why I think this series is perfect for Japan enthusiast especially history buffs. 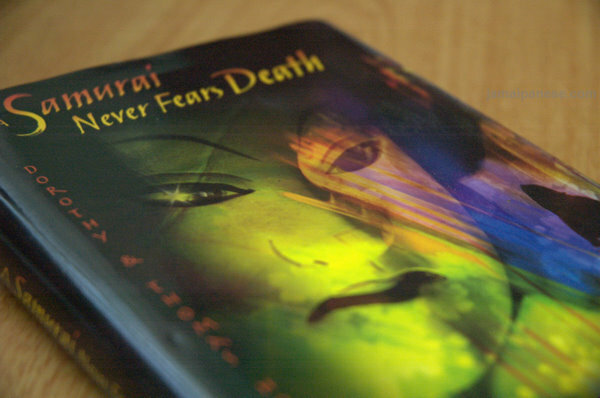 As usual you can pick up A Samurai Never Fears Death at Amazon.com, vote in the poll above and leave a comment below!